Loughcrew Megalithic Site, County Meath, Ireland. A solitary standing stone below the trail to the Loughcrew site surrounded by whin bush (gorse) and hawthorn hedge rows. A fieldstone fence, farmhouses, a patchwork quilt of fields completes the view. 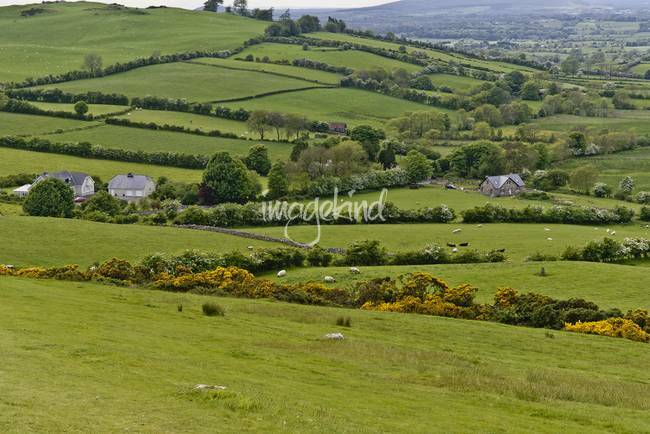 This photograph is a set with "Southwest view from North Side of Hag's Mountain" in my Ireland gallery.